Abstract: Neogene to Quaternary volcanism in the Carpathian-Pannonian Region was related to the youngest evolutionary stage of the Carpathian arc and the intra-Carpathian area, with subduction, extension and asthenospheric upwelling as the main driving mechanisms. Volcanism occurred between 21 and 0.1 Ma, and showed a distinct migration in time from West to East. Several groups of calc-alkaline magmatic rock-types (felsic, intermediate and mafic varieties) have been distinguished, and several minor alkalic types also occur, including shoshonitic, K-trachytic, ultrapotassic and alkali basaltic. On the basis of spatial distribution, relationship to tectonic processes and their chemical composition, the volcanic formations can be divided into: (1) areally distributed felsic calc-alkaline formations related to the initial stages of back-arc extension, (2) areally distributed intermediate calc-alkaline formations related to advanced stages of back-arc extension, (3) “arc-type” andesite volcanic formations with a complex relationship to subduction processes, and (4) alkali basaltic magmatism related to post-convergence extension. 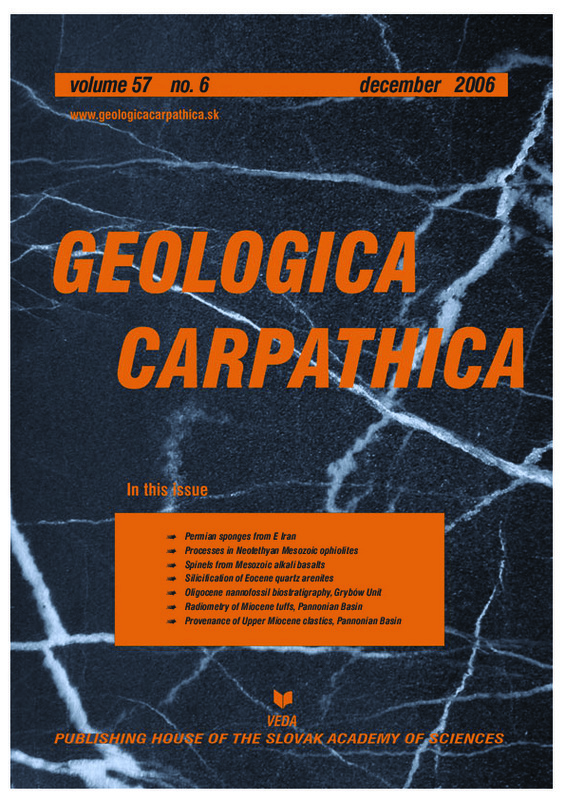 Petrological data and geotectonic reconstructions, which involve these magmatic groups, place significant constraints on geodynamic models of the Carpathian-Pannonian area. Subduction and back-arc extension were not contemporaneous across the whole Carpathian arc and intra-Carpathian area. Instead, three major geographical segments can be defined (Western, Central, Eastern segments) with a progressively younger timing of subduction roll-back and back-arc extension: 21–11 Ma, 16–9 Ma, 14–0 Ma, respectively. Short-lived subduction-related volcanic activity can be interpreted as either an indication of a limited width of subducted crust (not greater than 200 km) or an indication of detachment of the sinking slab. Interpretation of the areally distributed felsic and intermediate calc-alkaline volcanic formations are considered as being initiated by back-arc extension induced by diapiric uprise of “fertile” asthenospheric material.